Should There be Streets and Avenues in the Suburbs? Sigh. . . Grandma didn’t again write anything a hundred years ago today; but I came across a fun opinion piece in the August, 1914 issue of Ladies Home Journal that I thought you might enjoy. Apparently suburbs were a relatively new concept back then, and some of the basics were still being figured out—like how to name the roads. Can anyone give a good reason why we persist in creating “streets” and “avenues” in our new suburbs when what we are really creating are “Ways,” “Roads.” and “Lanes,” and should so name them. An “avenue” is, according to dictionary authority, “a wide or principal street: a broad thoroughfare.” Now try to imagine any of the so-called “avenues” in our suburbs as “side or principal streets,” or “broad thoroughfares.” Perhaps you live on such an avenue: a “Maple Avenue,” say, a city block or two long and twenty feet wide! Would it not more truly reflect its real character and its surroundings had it been called “Mapleway,” or “Maple Road”? And, above all, should we not be using our language a little more correctly? Why not be right instead of wrong in the use of the language, particularly when it is just as easy to be right? Whew, the author got really carried away with the quotation marks. I got tired of typing them every time an “avenue”, “street,” or other “road” was mentioned. Posted on October 19, 2014 October 18, 2014 by SherylPosted in OtherTagged family history, genealogy. It’s fun to read an old opinion piece. Some of the topics back then were different from what you’d typically see now. My sense is that street names give clues as to how old a neighborhood is. I live in a 1980s house–and lots of the street names in the area are first names (for example, Lisa Street) which seems very 80ish. Wow! Very opinionated! I never really thought about it. Of course, I grew up in a tiny town with NO streets/avenues/ways or lanes…! A 2-lane highway went right through our little village, and that was it! I also thought that it seemed very opinionated. There are lots of streets in suburbs and villages here, too. I don’t think that the ideas in this opinion piece ever totally took hold. Makes a lot of sense to me! Smart. Grandma is busy with a new beau?? That person would really freak out if they could see the English language now! My husband has a thing for sidewalks and the lack of them and I have a thing for street names, so we have lovely walks, plus lots of things in nature to talk about! We live on Berclair Lane. Wonder how they chose that? 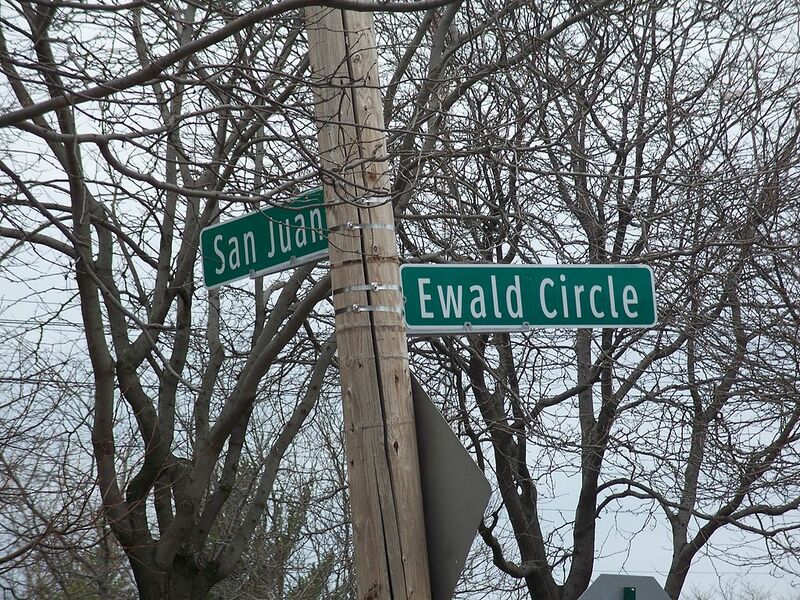 I grew up on an “Avenue” in Forestville, a suburb of Bristol, CT. From the attitude of the kids at Bristol High School one felt that “suburb” was an insult, meaning something like “less than urban.” But, whatever the street/road/lane names, it was a great place to grow up. It sounds awesome for the kids to have a sledding hill on the avenue (even if it had to have made things less convenient for the adults). You do find some interesting stuff. I also thought that the author seemed very opinionated. There are some really confusing streets in my neighborhood that change their names as they go from one municipality into another. I remember my mother telling me on a road trip in about 1949 that streets “always” go north and south and “avenues” always go east and west, so one should be able to know which way on is going. I wonder if there must have been a city she knew where that was the case. Minneapolis (and probably some other cities) has streets going one direction and avenues the other. On a related note to your post: I was in Pittsburgh this past weekend and read a newspaper article about the naming of towns and places. Evidently the US Board of Geographic Names, created in 1890 to maintain uniform name usage, decided that all cities / towns with a burg or berg would have no H on the end. A group of Pittsburgh citizens lobbied the board and those in favor of keeping the H won the day! Slight digression from your post …. It’s interesting how Pittsburgh ends in an “h”.